Traverse City, MI - National Coatings, Inc.
To contact National Coatings about our work in the Traverse City, Michigan area, please reach us using the information below. 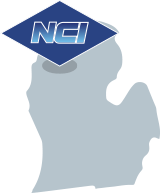 Traverse City is the birthplace of National Coatings. From a handful of administrative and field personnel, National Coatings has grown into a successful multi-state operation with an impressive portfolio of completed projects. Northern Michigan is best known for its tourism industry fueled by the natural beauty of the area. Visitors traveling by plane see our craftsmanship in the work we’ve completed at the Cherry Capitol and Gaylord airports. Area lodging and attractions such as the Grand Traverse Resort, Petoskey’s Odawa Casino, Turtle Creek Casino, Boyne’s Mountain Grand Lodge, and Avalanche Bay Water Park showcase our ability to work with unique décor elements. National Coatings has completed projects at Great Wolf Lodge, the Cancer Center at Munson Hospital, and Concordia Senior Living. See more projects from our Traverse City, Michigan portfolio below.